THE HUMAN LIFE REVIEW BLOG ARTICLE ON PHYSICIAN-PRESCRIBED SUICIDE IN MA. – Pro Life Legal Defense Fund, Inc. THE HUMAN LIFE REVIEW BLOG ARTICLE ON PHYSICIAN-PRESCRIBED SUICIDE IN MA. 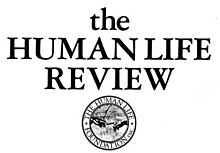 A 2017 article titled Battling Phyisican-prescribed Suicide in Massachusetts, co-authored by Lori Brannigan Kelly and PLLDF Board Member Robert W. Joyce, was published on the Human Life Review Blog. Read more on the Human Life Review Blog here.